This elegant bracelet is part of Thomas Sabo's Love Bridge collection. The classic chain of this bracelet is made from 925 Sterling Silver with sparkling White Cubic Zirconia accents and a pave infinity motif. 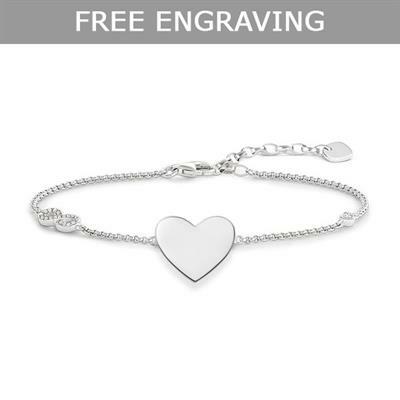 With an engravable love bridge heart charm, this Love Bridge bracelet is the perfect personal romantic gift to cherish.